Dogs must be at least 5 months old at the start of training! This includes the Off-Leash K9 Training E-Collar which all of our dogs are trained on, a 20 foot leash, and includes all FOUR lessons for $525. The e-collar we use has a two-year warranty, it is completely waterproof, and it has a range of 1/2 mile! This will be brought to your first lesson along with the 20-foot leash! Our lesson packages are great for clients who have time to work with their dogs and want to be a part of the training process. As long as you are committed to working with your dog, aren’t shy about asking questions, and are consistent with our training methods, you will get great results! By the end of this package, your dog should be able to be outside, off-leash, with distractions listening on command. Basic Obedience Curriculum “Come,” “Sit,” and “Extended Sit.” “Down” and “Extended Down.” “Place” and “Extended Place.” They will sit on a specific location that you point to (bed, cot, chair, park bench, etc) “Loose Leash Walking.” They will walk right beside of you on a leash “Off.” Do not jump on me or anyone else. **Extended sit, down, and place means your dog will REMAIN in the down, sit, or place position until YOU tell them to “break” (release them). Dogs must be at least 5 months old at the start of training! Our trainers also do lessons in Jackson, TN and Oxford, MS. If you live close to one of these areas, you will need to purchase in “in-home” lesson in order to book for those locations. The in-home lessons are scheduled according to your availability and your trainer’s availability. Once you pay for your package, a trainer will reach out to find a time that works for you both. This package is for those who really want their dog to be rock-stars! This includes 8 lessons for $850. You save by paying for the Basic Obedience Package and 4 Advanced lessons up-front! The e-collar we use has a two-year warranty, it is completely waterproof, and it has a range of 1/2 mile! This will be ready at your first lesson along with the 20-foot leash! This package includes everything listed in the Basic Obedience Package PLUS four additional advanced lessons! For the advanced lessons, you can choose from a list of advanced commands, or your trainer make recommend a customized lesson to address anything your dog may be struggling with. Our lesson packages are great for clients who have time to work with their dog each day, and want to be a part of the training process. As long as you are working with your dog between lessons, aren’t shy about asking questions, and remain consistent with our training methods, you will get amazing results! Dogs must be at least 5 months old at the start of training! Your dog must finish our Basic Obedience Package before we will teach them advanced lessons! We offer numerous advanced lessons! Some are: extended distance obedience (your dog will be sitting/downing on command from 50+ yards away from you), come-to-heel command (they come running, go around you and sit down right beside your left leg), watch command (stare at you until you release them), through command (go in between your legs and sit down), stand command (they will assume a standing position on command), front command (they will come running and sit directly in front of you no matter where they are), touch command (they will run up and stand up against anything you point to), and many more! Lessons are $100 each if purchased a la carte. You will save money if you buy lessons as a package! These lessons can be done in your home or at a park near your home. Shelby and Amanda also conduct lessons at parks in Jackson, TN and Oxford, MS. If you would prefer to meet our trainers in those cities, you will need to purchase an in-home package. If you cannot come to us for your lessons, let us come to you! Our trainers also do lessons in Jackson, TN and Oxford, MS. If you live close to one of these areas, you will need to purchase in “in-home” lesson in order to book for those locations. The in-home lessons are scheduled according to your availability and your trainer’s availability. Once you pay for your package, a trainer will reach out to find a time that works for you both. The lesson packages are great for clients who have time to work with their dog, and want to be a part of the training process. As long as you are working with your dog between lessons, aren’t shy about asking questions, and are consistent with our training methods, you will great amazing results! Our famous 2 week Board and Train program is our most popular training program! If you don’t have time (or the patience) to work with your dog, or just want a professional to do the hard part for you, this is the program for you! This is where you drop off your dog, and 2-weeks later you pick up a dog that is flawless outside, off-leash, with distractions! See our YouTube channel for numerous board and train before/after videos! **If your dog is in need of behavioral modification for aggression or anxiety, we can address these issues as well. Please call us to discuss what your dog is struggling with. ** Keep in mind that for dog’s with severe behavioral issues, our focus will be addressing it’s confidence, aggression, reactivity, anxiety, etc. We do not always guarantee or recommend that these dogs are off leash in public environments as safety is our priority! Does your dog have issues with dog aggression, dog reactivity, or simply go over the top when it comes to other dogs being around? If so, this is a specially designed program may be the best option for you and your dog. This 8 private lesson program is $850, which consists of our basic obedience package (4 lessons/5 commands) which will give you a solid foundation of control over your dog, just like the dogs you see on our YouTube Channel and Facebook page. Then, we spend the next 4 lessons working you and your dog around other dogs in different scenarios, commands, and situations. Giving your dog (and you) the skills, tools, obedience, and desensitization that is necessary in order to put you back in control of these situations. Our lesson packages are great for clients who have time to work with their dogs and want to be a part of the training process. As long as you are working with your dog between lessons, aren’t shy about asking questions, and are consistent with our training methods, you will get amazing results! With our dog aggression package, socializing your dog in the proper way is key! If you are unsure whether you have the ability to socialize your dog properly around other well-trained dogs, you may want to consider our Board and Train option. Not sure which program is right for you? Give us a call and we can help you decide! Do you have a new puppy? This is a private consultation to teach you all about raising a puppy! Keep in mind, this consultation is more training for the owner than it is for the dog. We will teach you the basics of house-training, crate-training, socialization, desensitization, basic nutrition, first aid, and how to train basic commands. We can also teach you how to train your dog to let you know when it has to go outside! During this session, your trainer will answer any questions you have regarding your new pup! Keep in mind that your puppy will not know these commands by the end of the session, we are simply teaching YOU how to train these commands. Click the link to fill out the form to schedule. If you have already paid for your package, we will email you a scheduling link for you to schedule your lessons. 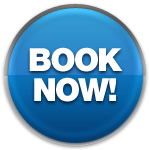 If you are booking a Board and Train program, we will contact you with our next available time slots. We conduct lessons during the week and on the weekends. Our schedules can be flexible, if you cannot find a time that works for you, give us a call and we may be able to adjust our schedule.